The Gulf Islands, are some of the landmark features of British Columbia. In a province already abundant in visually-pleasing topography, small gems like Saturna Island offer some of the most beautiful, untouched landscapes and water bodies. An eternity of delicate, untouched Saturna Island nature is a pleasing thought to many West Coast residents, though unrealistic due to the inefficiency of the status quo. With the population of the province steadily increasing, excess tourism will meaning a greater carbon footprint for all of the Gulf Islands. Thankfully there is a conscientious effort to help combat some of the problems brought by increased human presence. Newly established Active Pass Freight, a Saturna Island freight service, has taken it upon themselves begin a greener cause. 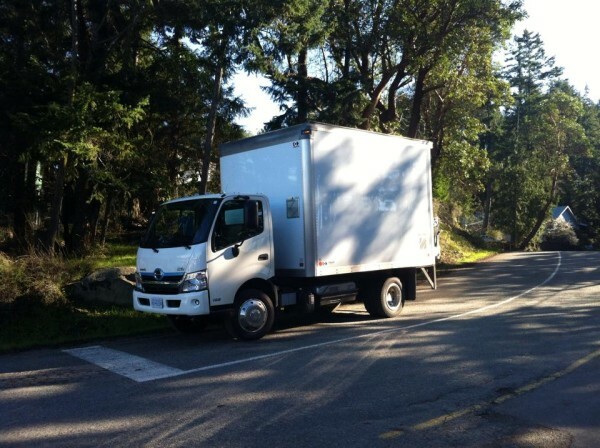 With a new low-emission, hybrid-electric truck, the Gulf Islands can depend on a greener future. As a consumer you have choices. Unless you produce your goods from home, you are leaving a carbon footprint to some degree upon purchasing goods. Transport of goods to a commercial level has traditionally been a dirty, high-emission practice, but Active Pass Freight is seeking to pioneer the same advancement that UPS made with its hybrid delivery vans. Now on the Saturna Island, there is a low-emission, environmentally-friendly choice to import goods. Folks can opt to make their local businesses aware. They can speak of the advancements made by Active Pass Freight at the Saturna Island Saturday Market. Estate Winery in Saturna Island embodies the reasons why the region requires environmentally friendly measures. With its scenic view Pender Island across the channel, it’s obvious to anyone who experiences it that it needs to be protected. 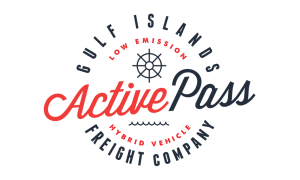 Active Pass Freight intends on being part of a consortium of businesses that are accountable to the environment here. The Gulf Islands represent a scenic respite, and is situated between the Lower Mainland and Vancouver Island. The Lower Mainland and Vancouver Island are two areas which are experiencing rapid population growth; therefore it is only reasonable to start efforts in protecting the environment of the Gulf Island archipelago. Residents of the island are conscious of green measures and Active Pass Freight, a Saturna Island freight service, has aligned its business model with the same values. Have no doubts as to whether your online purchasing can be the most cost-effective and ethical form of shopping. Saturna Island residents can particularly benefit from the phenomenon of online shopping, as they no longer have to resort to causing emissions due to frequent travel. The future is about possibilities, and no longer having to harm the earth to attain necessities in life. Active Pass Freight has captured this spirit with their hybrid-electric truck service to Saturna Island.